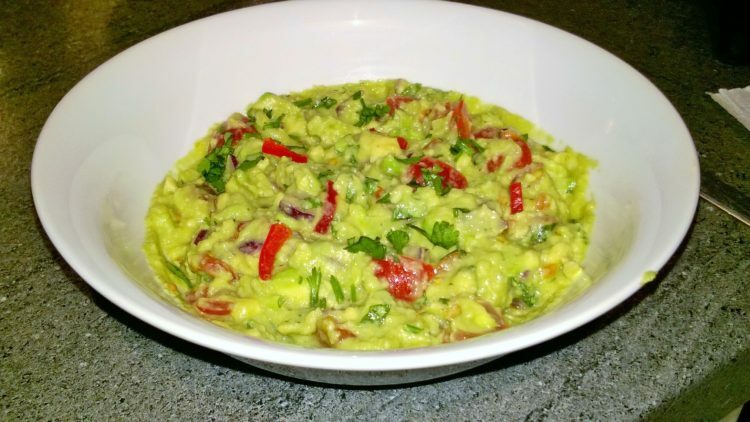 1 Put the avocados in a bowl and mash with a fork. 2 Add the lime juice then mix. 3 Then add the tomatoes, red onion, coriander and mix. 4 Add the rock salt and black pepper to taste and mix. Serve garnish with chilli and enjoy.